Portland's 17th annual jazz festival is packed with talent, including trumpeter Christian Scott aTunde Adjuah. Leading off the festival on opening night Wednesday, Feb. 20 at the Star Theater, trumpeter Christian Scott aTunde Adjuah leads his red-hot, young band. The two-time Edison Award winner and Grammy nominee from New Orleans is a master of modern soul jazz fusion with hip hop attitude. His "stretch music" style works to encompass as many musical forms, languages and cultures as possible. Releasing three outstanding albums in 2017, I'm excited to find out what he has planned next. Friday, Feb. 22 at Winningstad Theatre, The Bad Plus continues their first trip to the Northwest with new pianist Orrin Evans. The band's sound hasn't changed much, as you can hear on "Never Stop II," Evans' first album with the trio released a year ago. Without abruptly changing the sound of The Bad Plus' trademark jagged, punk-edged chamber jazz, Evans has energized his two new musical partners. "A lot of my music from the old book has been reborn under Evan," says drummer Dave King. This concert is part of our KNKX listener festival package, I hope you'll come along! Modern jazz stylings for the rest of that first weekend is highlighted by the impressive talent of young Northwest musicians. After The Bad Plus, walk a few blocks over to The Jack London Revue to catch Seattle's favorite modern organ trio, McTuff. Classic soul jazz and funk is updated with otherworldly psychedelia and masterful musicianship from organist Joe Doria, guitarist Andy Coe, drummer Tarik Abouzied, and the Dark Lord of the Saxophone — Skerik. Saturday, Feb. 23 at The Jack London Revue, I'll be celebrating my birthday with my favorite Portland jazz group, Trio Subtonic. The groove-heavy trio hews closer to indie rock, especially when covering songs by Sia and The Black Keys. The special lineup this evening features keys player Galen Clark and bass man Bill Athens, joined by frequent collaborator Dan Balmer on guitar and Seattle's own D'Vonne Lewis behind the drums. Stay up late to hear an earful of Clark's new quintet Outer Orbit close out the night after two sets from the Trio. Clark's new quintet features a second keys player, drums, guitar, and the wonderful bassist Damian Erskine, who New Cool fans know from Seattle band Happy Orchestra and other progressive PNW groovers. The festival's second weekend starts early on Thursday, Feb. 28 at Revolution Hall with five-time Grammy winner Terence Blanchard and his young E-Collective ensemble. Since their 2015 debut album "Breathless," I've wondered how long this busy trumpet star would keep this group together. I'm happy to say the ride isn't over yet. Last year saw the release of the E-Collective album "Live," and Blanchard's mature expression of modern jazz soul fusion continues. Depending on the votes a week earlier, we may be able to call Terence Blanchard an Oscar Winner. He's finally been nominated for an Academy Award for his latest Spike Lee film score for the fantastic new film "BlacKkKlansman." Talented Portland pianist Darrell Grant opens the show, don't be late! Friday, March 1 at The Jack London Review, check out Portland saxophonist Eldon "T" Jones leading a new version of his soulful mid-90s project N Touch in a tribute to his hero, saxophonist Grover Washington Jr. Six-string bassist Gerald Veasley and powerful saxman Marcus Strickland add their incredible talents to the party, which begins with an opening set from the Delvon Lamarr Organ Trio. It's the DLO3's first Northwest performance since Delvon left Seattle for Austin, Texas, a couple weeks ago. Bonus show: Veasley, Jones and Lamarr all meet up later that night at The Jack London Revue for a late-show jam session beginning at midnight! Saturday, March 2 at Revolution Hall features a double bill with one of today's leading saxophone players in two incredible groups. Chris Potter' Circuits Trio is in the headliner slot, playing music from their upcoming album ("Circuits," out Feb. 22) with the deep-pocket drum grooves of Eric Harland and James Francies' daring exploration of electric keyboards. The band plays in the groove-heavy sound world of electronics, memorable hooky melodies and surprising turns of phrase. The opening act for this trio is getting a lot of attention as well, and deservedly so. Wide Angles: Remembering Michael Brecker presents a 70th birthday celebration to the late sax icon, led by his longtime friend and musical partner, Gil Goldstein. The music honors Brecker's Grammy-winning large ensemble album "Wide Angles" from 2003, which Goldstein arranged and conducted. A brass ensemble and string quartet join the band for this Portland-only performance, with four of the top sax players in jazz today honoring their hero. Potter himself will share the front line with Marcus Strickland, Maria Grand and Eli Degibri in a show that's sure to raise the level of the Circuits Trio performance to follow. 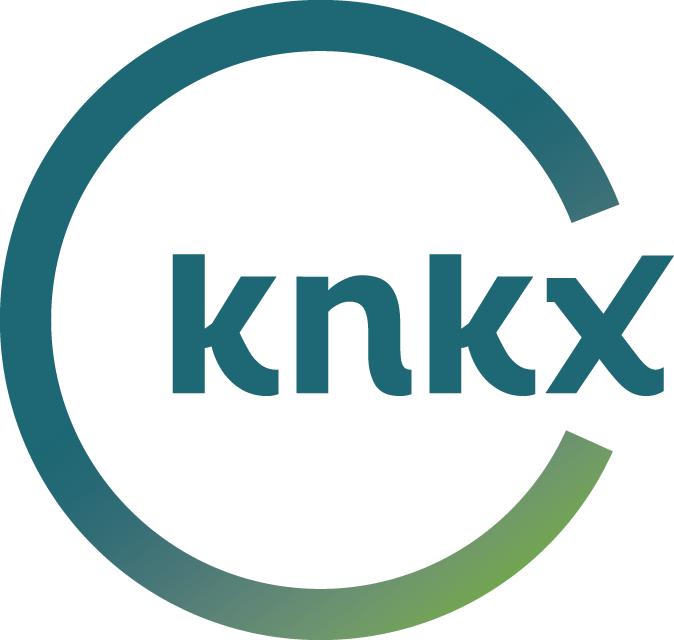 You'll hear music from all these headlining bands on The New Cool this Saturday afternoon on KNKX, but there's much more jazz to be enjoyed at this year's Portland Jazz Festival. From promising young Portlanders and Seattleites to the world-class band led by bassist Stanley Clarke at Revolution Hall March 3rd, there's a full plate of fun for fans looking for the cutting edge. I couldn't find much information on most of these shows, but curious music fans should keep these (often free) concerts on their to-do list for this 17th edition of the Rose City's annual jazz party. Expect jazz-adjacent styles of electronica, hip hop, funk and rock, and keep your mind as open as your ears. New Orleans trumpeter Christian Scott aTunde Adjuah has a new record out. It’s called ‘Stretch Music,’ which is a perfect title. Not only does Christian stretch the idea of ‘jazz’ over all genres of music with this release, he also stretches how a record can be heard. ‘Stretch Music’ has its own app—which turns the album into the first interactive media player as a record. This means that the casual listener, or a musician who wants to play along with the songs, can listen to the instruments he or she selects. Trumpeter, composer and multiple Grammy-winner, Terence Blanchard, has got a brand new bag—and a brand new album. The Portlanders of Trio Subtonic made a second appearance in our studios armed with material from their new album "Fiction," their first for the ultra-hip Ropeadope record label. It features a pair of cool contemporary covers of songs by Elliott Smith and Sia, and live in our studios the band played the Black Keys' "Little Black Submarines", but it's their original songs that really shine.